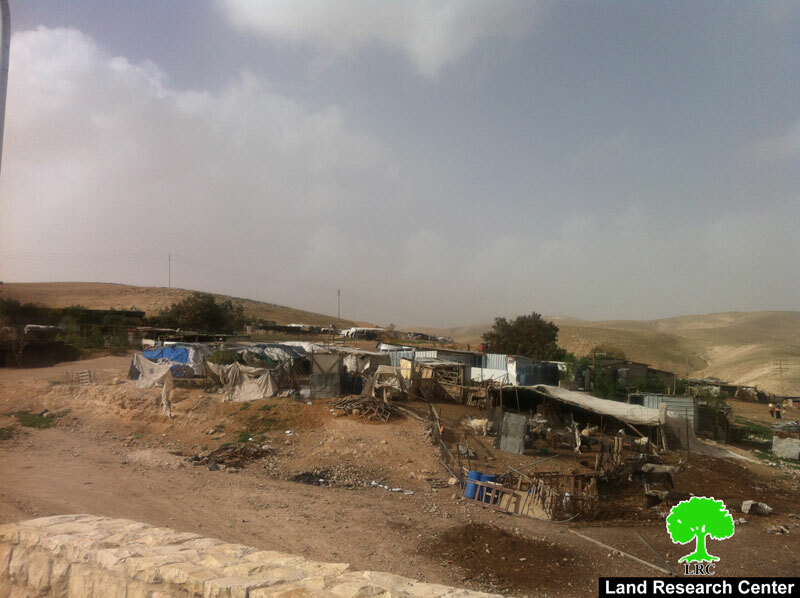 Israeli Supreme court passed a decree of demolishing Bedouin huts and tents in Khan al Ahmar, The resolution comes as a part of the colonial plan E1 that aims to include the surrounding settlements according to the plan of "the greater Jerusalem", the plan also includes dividing the west bank into two parts and shut out communication between the two parts. The occupation forces localized on the roads that lead to Khan Al Ahmar to prevent citizens and activists from reaching the location, despite that tens of citizens and foreign activists manage to get there and protested against the demolition that destroys residents of 40 families , houses of 257 members and the town&apos;s only school , known as "Al Itarat". The occupation is attempting to relocate families of al Khan Al Ahmar to lands closed to Abu Dis . The lands have boon stolen from their Palestinian owners, in international law this act is a war crime. Forced displacement is defined as an illegal dislocation of a group of residents from the land they live in, it is a crime against humanity. Article 49 of Geneva fourth convention 1949 stated that:" Individual or mass forcible transfers, as well as deportations of protected persons from occupied territory to the territory of the Occupying Power or to that of any other country, occupied or not, are prohibited, regardless of their motive". 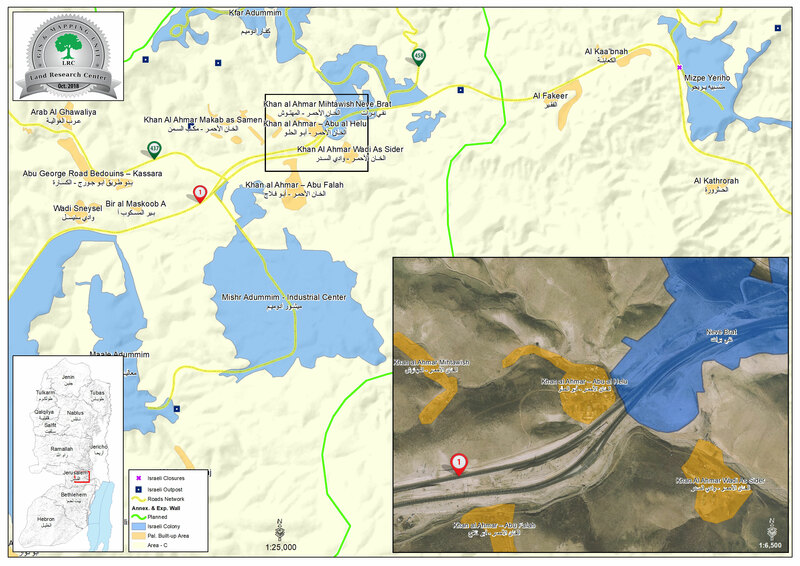 The Israeli forces are attempting to expel people of Khan Al Ahmar to lands owned by people in Abu Dis, and are not suitable for residence .The lands of Abu-Dis were previously used as a waste landfill and inappropriate for Bedouin life style, which will affect their life socially and economically. 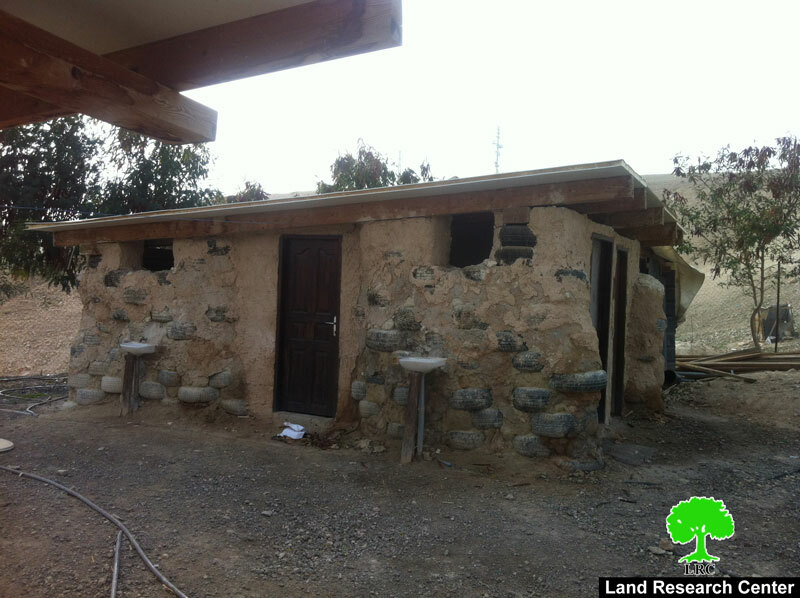 On the other hand it will cause hostility between Bedouins and the owners of the lands. Early in the morning, Wednesday 4th july 2018, The occupations&apos; bulldozers entered Bedouin residents in Khan Al Ahmarm , they conducted some shoveling on the main road to facilitate the entry of the occupation&apos;s machines to demolish tents and huts. 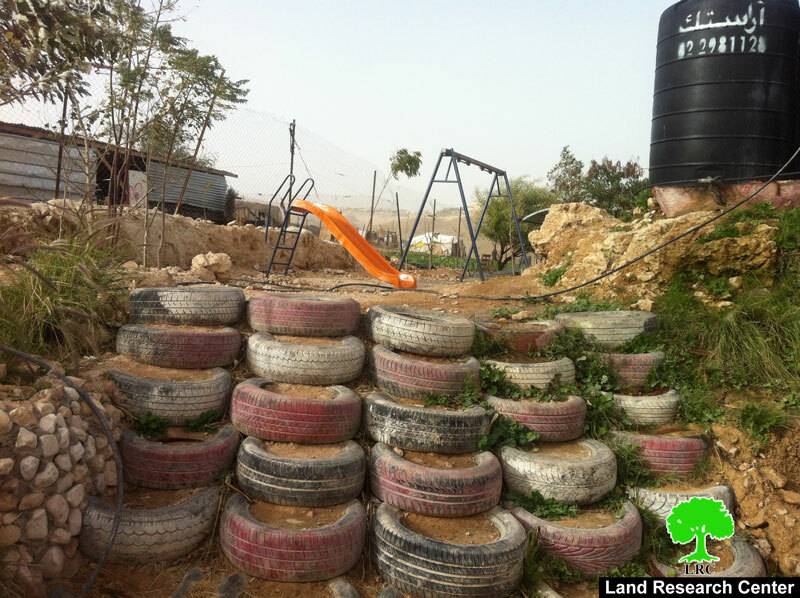 Residents and activists stood before the bulldozers and protected the residents with their bodies. The occupation forces brutally attacked citizens and women, and arrested some of them. Sarah Abu Dahuk (19) was arrested. Then they increased their presence in the location and prevented citizens, journalists and medical workers from parking close to the main street. All the leading roads to Khan Al Ahmar were closed. 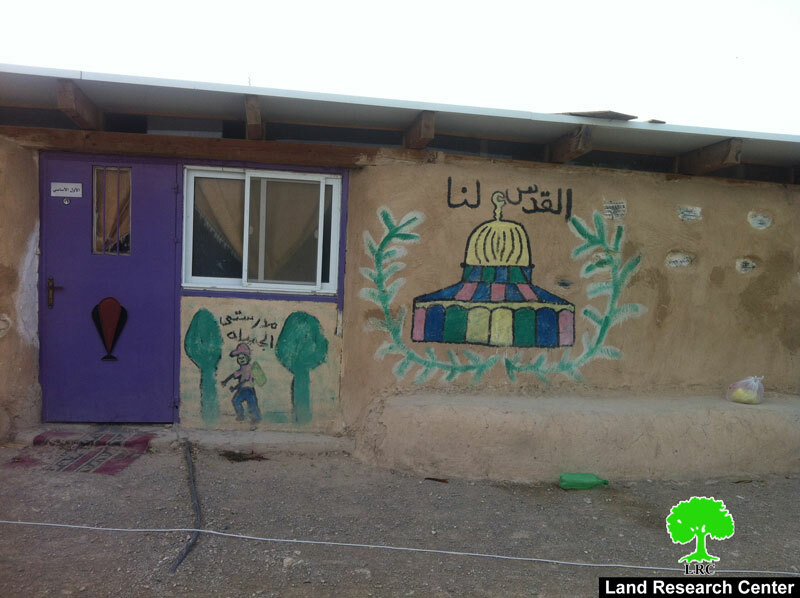 People of Khan Al Ahmar asked the supreme Israeli court to appeal the resolution of dislocating them and demolishing their homes. The supreme court passed an order to postpone the dislocation until august 2018, then it was delayed. Thursday, 5 July 2018 The Israeli forces confiscated 4 Palestinian vehicles close to Khan Al Ahmar "one of them is for Wafa news agency" and removed them to Benjamin police station and wrote out expensive fines for four other Palestinian vehicles , one of them is Red Cross&apos;s car under the allegation that it was standing in a closed military zone. Sunday and Monday 8,9 July 2018 m The occupation forces closed Al-Eizareya and Abu-Dis ,and sent large pickups to Wadi-Al-Jir area in Abu-Dis town to prepare the moving of residents of Khan Ahmar. Wednesday, 11 July 2018 The entry road to Khan Al Ahmar was closed by Cement blocks, prevented some of the official consuls to the location and besieged the students in the only school of the village. Sunday, 15 July 2018 the occupation constructed a metal gate on the entry road of Khan Al Ahmar, that is a part of their policy against people of Khan Al Ahmar. Wednesday 5 September 2018, The Israeli supreme court passed a resolution of dislocating people of Al Khan Ahmar and demolishing their residents after only one week from the issue of the resolution. Residents of Khan Al Ahmar and other people in solidarity have been protesting in the location since the first resolution was issued. there&apos;s a protest every day in Khan Al-Ahmar attended by citizens, institutions and foreign solidarity activists. Thursday 13 July 2018, The Israeli occupation forces broke into Al Khan Al Ahmar, and demolished the new Khan Al Ahmar town (that was built by activists in 11/sept/2018) and confiscated the caravans after demolishing them. 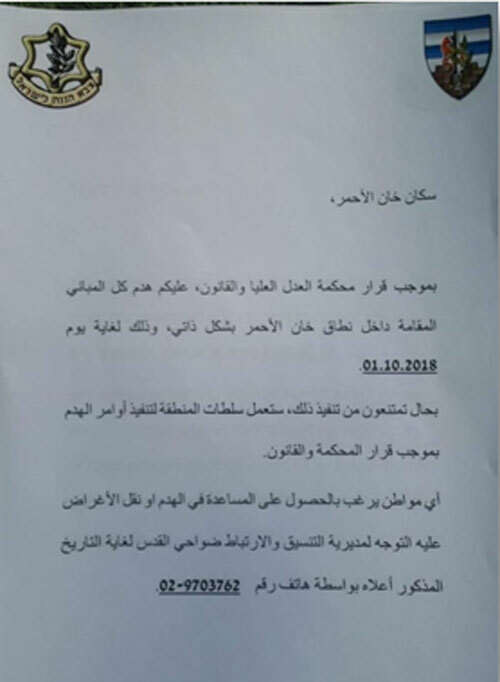 Sunday, 23 September 2018 the so called "Israeli civil administration" and the occupation forces told people of Khan Al Ahmar that they have to leave the town and their residents will be demolished before 1 october 2018 , gave them notices, and threatened them in case they refused to leave the forces will come to the location and force them to leave. An officer in the occupation army told people of the village that they have to leave the town , The occupation forces offered to help in moving their baggage and demolish their homes and get pick ups to move them from their town! Friday m 28 July 2018 ,The occupation forces declared KhanAl Ahmar, north-east occupied Jerusalem a closed military zone, blocked all the leading roads and prevented citizens and journalists from reaching the place. In the years that followed the Nakba 1948 the Israeli occupation expelled Bedouins from their residents in Tel Arad , Beersheba in the 50s , most of them are from Al Jahaleen tribe, they moved to live in Khan Al Ahmar, The bedouines found Khan Al Ahmar a suitable place after their dislocation from Tel Arad especially that the area was rich with water, before the occupation forces started irritating them. 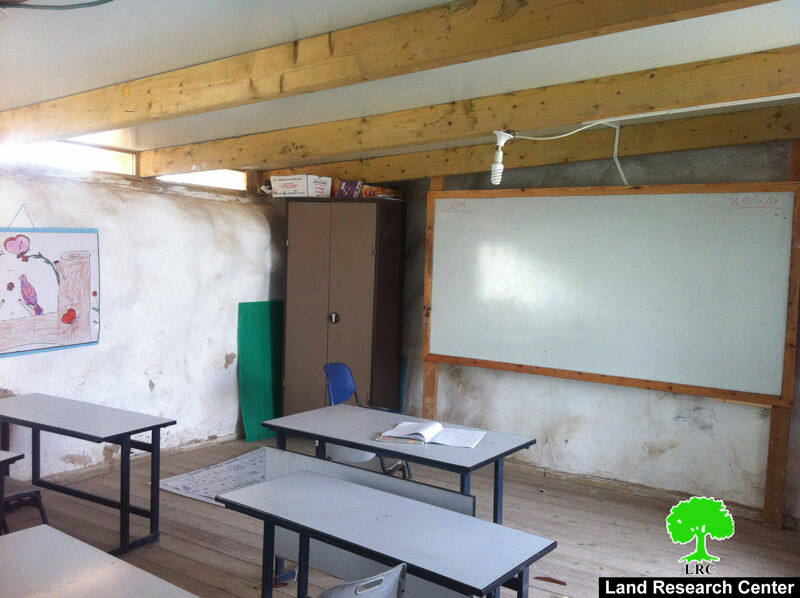 The occupation authority consider that the Bedouin presence in the area is illegal according to the Israeli construction law and that it is built in confiscated lands for the Israeli state, it is important to point out that Al-Jahaleen live there before Israel occupied Jerusalem in 1967.